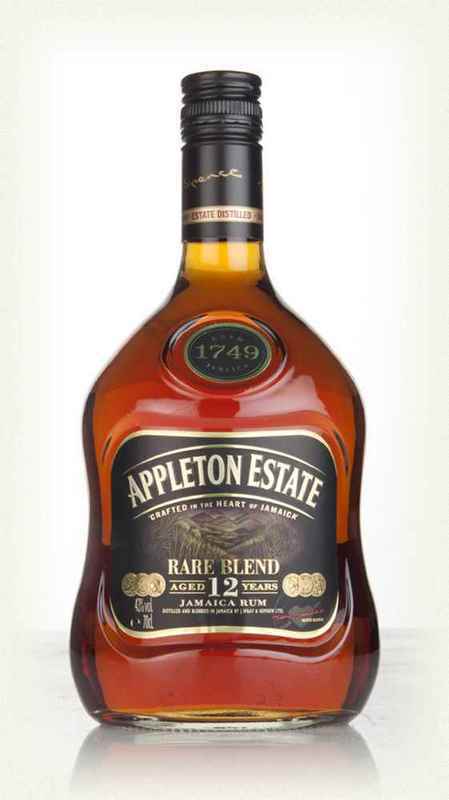 Have you found an online vendor selling Appleton Estate Rare Blend 12-Year? I like this rum, especially for the low price of only $32.99 (TotalWines 2016)! It's a tad sweeter than both the Appleton 12 and 21 (but still rather dry as are all the Appletons I've tried). It's very, very close in taste to those, but slightly better IMHO. Notes of oak, almond, vanilla, molasses, and nutmeg. Try blind tasting this against the 21 - you may even prefer this to that, as I did. In the rum world you may hear people mention the word Hogo. Have a sip of this and you'll understand what it means. It's like a deep funky bassline from Bootsy Collins. It's the benchmark Jamaican rum for me. It has serious punch and does things most other rums don't do. It's complex, dark and mysterious. Many will argue that there are other rums that have a much more noticeable or distinct Hogo and I completely agree. I just think that with this rum you can appreciate the Hogo in it's subtleties. It's more of a caress than a complete beating of your senses. It's just a lovely experience. After receiving one of these bottles for Christmas in 2016, I didn't have the heart to open it until I got a second bottle. I got another one last year for Christmas and I didn't hesitate to open it once I got it home. It did not disappoint! This rum was well worth the wait. I can taste the vanilla in this rum; the finish is so nice. This is such a good tasting rum that I really had to dig to find something that I don't like about it and here it is: the bottle has a screw cap. That's it! That's the only thing I don't like about this rum. Solid blended rum. Nothing special but nothing bad. Pleasant from nose to throat. I think I have to compare this to the 8 and 21 year olds. It is way, way better than the 8 and maybe 85%+ as good as the 21. Considering it is normally about 1/4 the price of the 21, that is good going. It makes the most sensible purchase. Having adored the 21 - it felt like rum heaven to me - and disliked the 8 (very harsh and quite bitter), I wasn't sure whether to risk buying this or not, but I was reassured that it was good and took the plunge. I'm glad that I did. On the nose, we are not far off the 21. It is not quite so seductive, but it's pretty much got most of the same hallmarks and comes over as complex and oaky. In the mouth there is a vague note of the harshness of the 8, but it is no more that that. The rum has several things going on and has a great deal of complexity - much more so than the El Dorado 12, for instance - though that one has other good, enjoyable qualities to make it also deserve a 9. Oak, leather, stewed exotic fruit, caramel, roasted brown sugar - oh, lots of things are present. If you like depth, you won't be disappointed in this. The aftertaste is 90% of that of the 21 - rich, delicious and long-lasting. This rum may well make it onto my list of regular sippers at under £50. It is the benchmark for an entry-level Jamaican Rum. No sugar added, funky, oaky, and moderately complex. It mixes extremely well too, with that "hogo" carrying over to enhance the drink. Try in a Maita'i, Jungle Bird, Zombie, Old Fashioned, mixed with coconut water or ginger beer over ice... Its hard to go wrong when mixing. The only thing that would make this rum better, in my opinion, would be to make it pure pot-still. I went to my neighborhood grocery store to pick up my old favorite Appleton V/X, which I have been drinking from time to time for the past 25 years or so. All they had was the Signature Blend with no age statement or this one. I would not have been pleased with the cheaper one, so I bought this one, which happened to also be on my wish list. Others have noted a strange funky aftertaste, which is characteristic of Jamaican rums. At first, it was good sipped neat, but nothing to write home about. An ice cube increased the complex flavors, but also the funky aftertaste. This bottle won't go to waste, but I will always stick with their V/X aged between 5-10 years. This one appears to be the victim of being "too long in the wood". This also proves that if it works, don't fix it. Update 12 days later: I have a love/hate relationship with this totally unique rum. No other rum can even be compared to it. After all these years, other reviewers have finally inspired me to look up the terms "dunder" and "esters", which is what makes Jamaican rums unique. You will have to look those up yourself because that process sounds pretty gross and probably began centuries ago out of economic need instead of adding unique flavors. For those that don't know what Jamaican funky rum tastes like, I would best describe it as mud being mixed with the sugar cane that was distilled to make this rum. Since my favorite V/X appears to have been discontinued, I may not be buying any more rum from Appleton. Then again, somewhere down the line I may miss this funky one and buy it again. Très bon rhum, mais présence un peut trop forte d'alcool en finale. Le El Dorado 12 ans est meilleur, plus complexe, plus riche, un peu plus nuancé. Very good rum, but a strong presence of alcohol in the finale. The El Dorado 12 years is better, more complex, richer, a little more nuanced. The color of this rum was a glowing amber. Possibility my favorite 12 year rum, and Appleton Estate has produced the best Jamaican rums I've tasted. 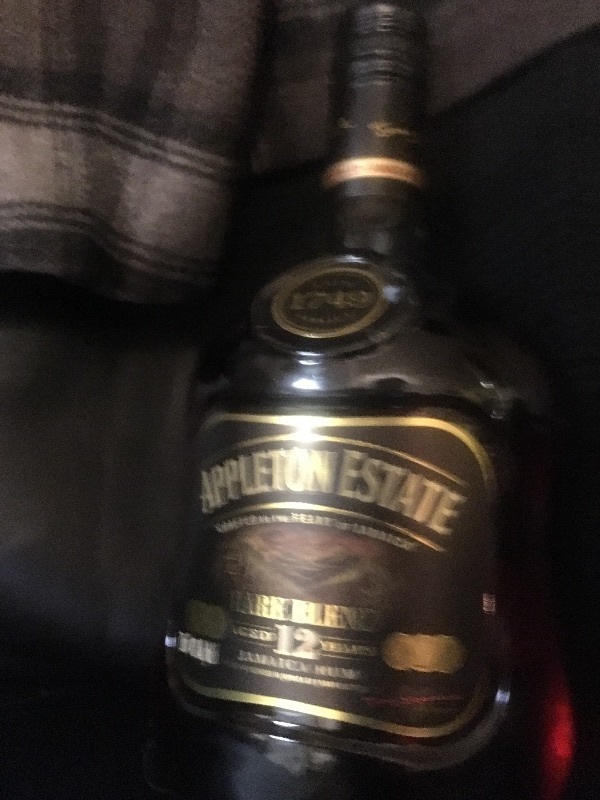 The Appleton Estate 12 year is exceptionally smooth with hints of cinnamon and banana, with undertones of dark chocolate and oak , or what I believe the barrel is oak because other rums by Appleton are also oak, but I haven't been able to find what barrel type they used. The finish is incredibly smooth leaving a light taste of cinnamon in the mouth. Priced around $30 a great rum for the price, and served best over ice. However, this age is still ripe causing the drinker to miss out on some of the flavor undertones. I wish Appleton Estate would release the rare blend in 15 or 18 year vintage just to taste how this bottle would if matured. The funk is there, but 12 years have taken the edge off and left a very smooth, well-rounded versatile product. It's not often I reach for a funky rum, they are generally not my favorite, but this is the one I go for and it does everything well. SUPERIOR mixer. OK, to be clear, I mix my rums with Diet Dr. Pepper. It is how I like my rums. This rum is affordable, yet offers a great complexity of fruits (like bananas), molasses, slight vanilla, and changes its flavors one to two times as you finish your drink. I put one shot glass per 12-oz can for this blend. Now, if you have ever got stuck with another rum that is just OK, or not that good, like Kraken rum, then I call this Appleton a perfect disguise cover up rum. Just add 1/2 a shot glass per 1 shot glass of Kraken, and you suddenly have a complex flavor that is very good. This custom blend between Appleton and Kraken almost resembles a Zacapa. Anyway, I have 8 bottles of this in my cabinet because the store where I live runs out. I like the price and I like the flavor. It is a must have. This is the 12yo Extra rebranded. While I haven't tasted side by side, I believe it is the same blend and equally as good. It isn't as smooth as I thought it would be. The flavours are really nice. I tried a sip. Fantastic. I mixed it with a little. Delicious. Really nice at this price level. Poctivy jamajsky rum, v chuti melasa a "funk", 43 voltov, jeden z najlepsich rumov, aky som zatial pil. So I’m in a fancy restaurant. Of course they’re heavy on whiskey. I asked about the rum and their top shelf is this and Zacapa 23 with which I’m familiar. I ordered an old fashioned and asked for a straight sip of the AE12. Good stuff. This rum has a very harsh alcohol taste. I would put it in a tea on a cold rainy day. But otherwise this is a complete miss for me. Add few more bucks and buy something like Mount Gay XO. It might work though, if you are seeking that "alcohol punch". Than again many cheaper bottles have that as well. Blind tasted this one with Zaya 12, Kirk and Sweeney 12, and Plantation XO 20th anniversary with a few friends. All my friends had this bottom out of the four. I had it second behind Plantation. I found it more complex than the Zaya and K&S with an awesome afterburn on the palate. I think some newer rums are forced sweetened, not being allowed time to mature normally in the barrel. My 2nd favourite rum - more cognac type, and not too sweet, wonderful aroma, great aftertaste, bold...and nice bottle.